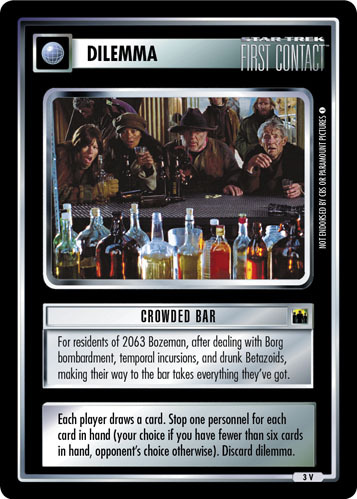 For residents of 2063 Bozeman, after dealing with Borg bombardment, temporal incursions, and drunk Betazoids, making their way to the bar takes everything they've got. 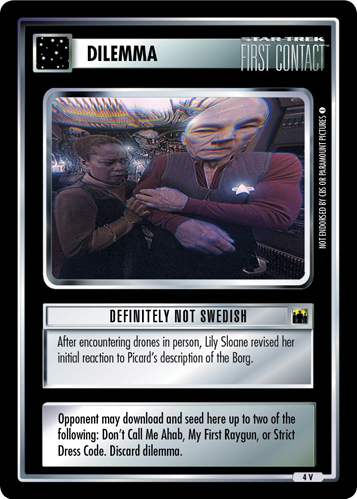 Each player draws a card. 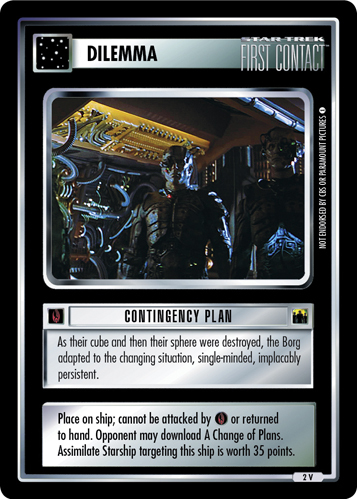 Stop one personnel for each card in hand (your choice if you have fewer than six cards in hand, opponent's choice otherwise). Discard dilemma.